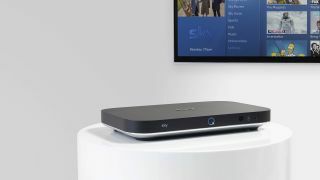 Sky will not be launching Ultra HD until the company is sure that the customer demand is there, and it has not ruled out the chance of Netflix or Amazon Prime apps appearing on its new Sky Q box. The Sky Q Silver box will launch early in 2016, but although the box is 'UHD ready' that part of the service will be held back at launch. With rival BT already offering a UHD service - most notably in Sky's traditional cutting-edge area of football - it's important for the company to be seen as not lagging too far behind. But rushing out a service is not something Sky is entertaining, with Director of Customer Experience Kathryn Lacey confirming to techradar that the company would launch when ready. "The decision not to launch [with UHD] was based on us as a company only launching a service when we think they are ready for it. "We want to make sure that we have a comprehensive line-up and also it's about making sure the customer demand is there." When techradar asked about whether Netflix or Amazon may arrive on the service, Lacey did not rule out the chance of services that may be considered competitive joining the launch apps in the new smart functionality of the Sky Q. "Everyone wanted YouTube so that's on the box - and we are totally open to working with a number of partners." So it's not a no from Sky, which gives a glimmer of hope that this comprehensive service will soon not only be toting UHD but also more content services beyond its own.